All too often today, when we think about ourselves and others, we define ourselves by difference. We focus on what makes us unique – what makes me, ‘me’ – and we tend to understand others in relation to that. In a world defined by difference – different points of view, different histories, different languages, and different lived experiences – it’s hard to think of there being anything that is truly universal… But, there is, and it’s beautiful. So, what is this dimension of human being’s social nature that transcends all politics, race, language, gender and ‘difference’ to connect us all at some innate and instinctive level? This is the question Eyal Gever, a world-renowned leader in 3D artistry, has worked to answer in response to a creative brief from NASA’s Made in Space division. Laughter is one of the few forms of social communication that behavioural scientists and anthropologists have consistently found across cultures. From ‘untouched’ tribes native to South America, to the most modern societies in Western Europe, laughter truly is a global good. Essentially laughter is language, a language of its own, and one shared by cultures across our earth. There is a good reason for this universality too. Laughter, it turns out, is actually an ancient system that evolved to help mammals rapidly build social bonds and to regulate each other’s emotions. As Sophie Scott explains in her famous TED talk on the subject. For more, give Robert Provine’s fascinating short video a watch. NASA recently (space)shipped the first zero-gravity 3D printer to the International Space Station. And, although its main function is to enable astronauts to build spare tools and parts in case of emergencies, NASA’s Made in Space team seized the opportunity to do something pretty special. This zero-gravity gadget also creates an opportunity to develop new forms of art, surpassing the physical boundaries of our little blue and green ball. Sounds like any off-beat artist’s dream, no? With this in mind, NASA approached Eyal Gever to help them use the 3D printer to create the first interplanetary art. Eyal’s incredible idea was to create an easy-to-use app that collects and collates people’s laughter from around the world in the form of soundscapes. 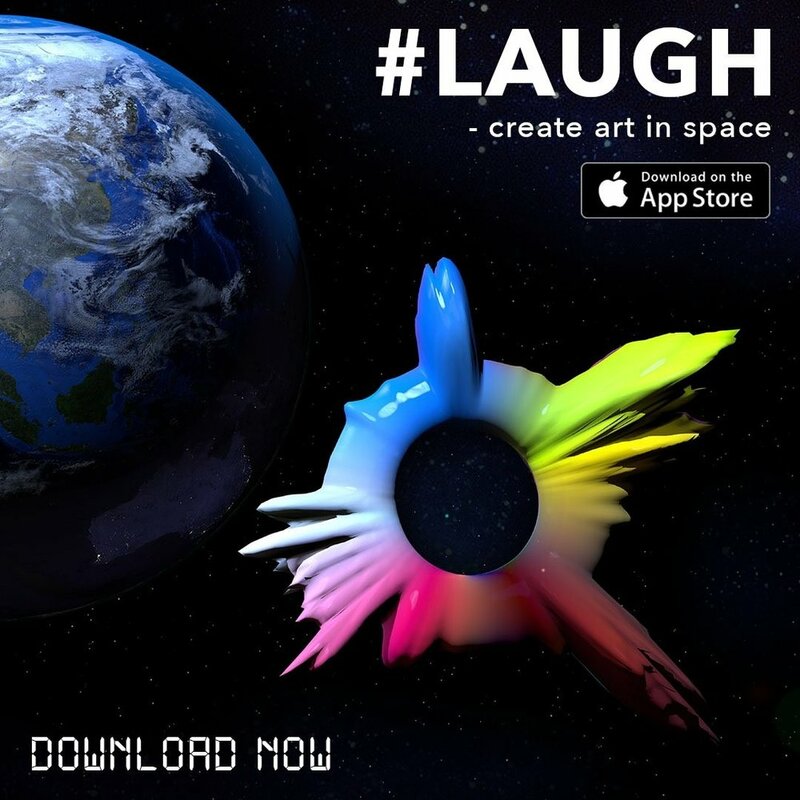 The innovative app then relies on a wisdom-of-the-crowd approach to select the best laugh. Essentially the laugh with the most ‘likes’, "plays" and "shares" will get sent up to the International Space Station, printed and sent out as a celebration of the human condition. You can watch a short video developed by Vice’s ‘The Creators Project’ here, and download the app here. We were lucky enough to be able to work closely with Eyal Gever and the Laugh Project team from the beginning stages of the project. We helped the team conduct usability testing, and assisted with the iteration of early versions of the app. We also shared useful behavioural insights, furthering the teams’ understanding of the cognitive mechanisms underpinning laughter. Besides the pure, and pretty nerdy, intellectual delight of working on such a novel and out-of-the-box project, we have relished the opportunity to work with such a distinguished team scattered across the globe. From our team at Gravity here in Cape Town, along with two other South African teams, to Israel, the United States and the project leaders based in the UK. It has been truly a global project, not just in terms of the outcome the team wanted to achieve, but also in the way that they wanted to achieved it.